For nearly 25 years, the Star Wars Expanded Universe seemed like an unstoppable juggernaut of books, comics, and video games. But in 1988, nobody was even thinking of doing new Star Wars books. Until one publisher decided to write a pitch letter, out of the blue. 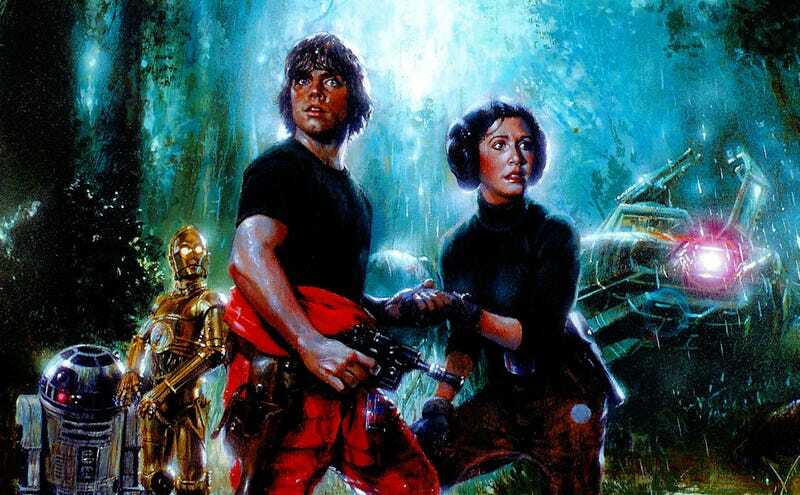 Over at Barnes & Noble’s B&N Sci-Fi & Fantasy blog, io9 contributor Andrew Liptak is writing the history of the Star Wars Expanded Universe, focusing on the tie-in novels. And the details of how Lou Aronica with Bantam Spectra convinced Lucasfilm to take the plunge on publishing new books are pretty amazing—especially the idea that his main hook was that they would take huge liberties with the status quo of these characters. He also outlined a plan that would set Bantam Spectra’s line of novels apart from what other tie-in franchises were doing: each book or set of books would be an event in and of itself: the new “novels [would be] great reading experiences, not just merchandise,” and would come out in hardcover, rather as mass market paperbacks.